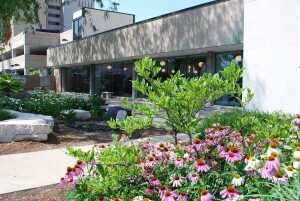 The Waukegan Public Library’s collection features a wide variety of educational and entertainment materials in different formats for all ages, from infants to teens and young adults to seniors. On the Library’s website, cardholders can access eBooks, eAudiobooks, and other online resources. At the physical library, visitors can find the traditional print books and magazines, as well as collections of graphic novels and manga, music, video games, movies, and much more. 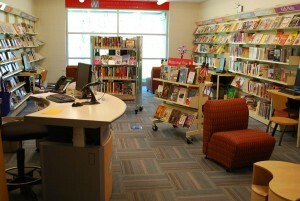 The Hinkston Park Branch – Located in the Hinkston Park Fieldhouse, the branch has a small collection of new, popular materials. You can also request any of the main library’s collection be delivered to the branch for you to check out. The Spanish Collections – To serve the many Spanish-speaking people in Waukegan, the library has a large collection of Spanish-language materials in both the Children’s Department and the Adult Department. Visitors can find a variety of educational and entertainment books, magazines, music, movies, and more in Spanish. Spanish-speaking cardholders can also access eBooks, e-audiobooks, and Mango language-learning resources through the Library’s website. The English as a Second Language Collection – In addition to the Library’s great ESL classes, visitors will find a variety of books, audiobooks, and DVDs to help them learn at home and improve their skills. On the Library’s website, cardholders can use Mango for English instruction in over 20 different languages.